Chrome plated brass. Pre-drilled. 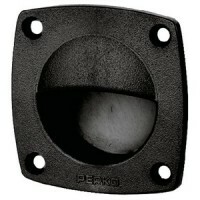 Flange: 3" L x 2-1/4" WFastener: #6..
Black plastic. Easily installs. 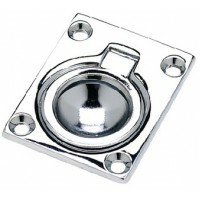 Hole: 1-3/4" dia.Size: 2-1/4" x 2-1/4"Fastener: #6Depth: 15/16"..
Chrome plated zinc with black plastic finishing flange. Spring loaded. 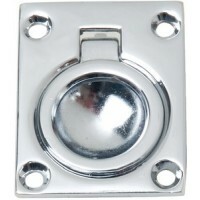 Can be mounted horizontally o..
Chrome plated zinc with phosphor bronze spring. 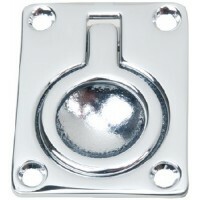 Size: 2-1/4" x 1-3/8"Fastener: #6..
Chrome plated. 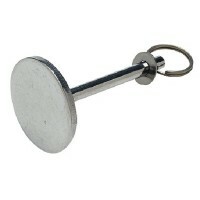 Size: 1-5/8"Fastener: #6Material: Zinc..
Chrome plated. 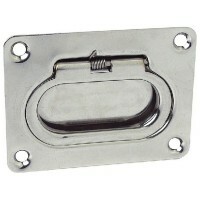 Size: 2"Fastener: #6Material: Zinc..
Investment cast 316 stainless steel. Carded. 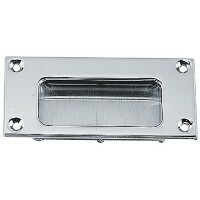 A: 1-15/16"Fastener: #8FHB: 1-9/16"C: 3/8"D: 1/8"E: 1-1..
Chrome-plated cast brass. Carded. A: 1-5/8"Fastener: #8FHB: 7/16"C: 1-1/16"D: 1/16"..
Chrome-plated cast brass. Carded. 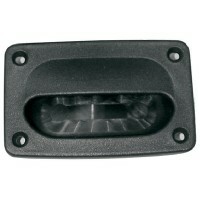 A: 2"Fastener: #8FHB: 7/16"C: 1-1/16"D: 1/16"..
Injection molded Acetal. Carded. A: 2-3/16"Fastener: #6 FHB: 1-3/4"C: 1-5/8"Color: BlackD: 5/8"..
Injection molded Acetal. Carded. A: 2-3/16"Fastener: #6 FHB: 1-3/4"C: 1-5/8"Color: WhiteD: 5/8"..
Injection molded Acetal. Black. #6FH fastener. 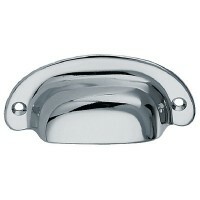 A: 3-5/8"B: 2-3/8"C: 2-5/16"D: 1-11/16"E: 5/8"..
Chrome-plated cast brass. Carded. A: 2-15/16"Fastener: #8 FHB: 2-3/16"C: 3/8"D: 1/16"E: 1-3/16".. Stamped 304 stainless steel. Carded. A: 2-9/16"Fastener: #8 FHB: 2-3/16"C: 7/16"D: 1/32"E: 1-1/2".. Stamped 304 stainless steel. Carded. 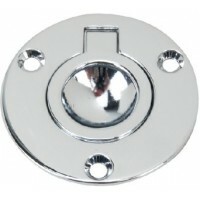 A: 1-3/4"Fastener: #6 FHB: 1-1/2"C: 7/16"D: 1/32"E: 1"..
Chrome-plated cast brass. Carded. 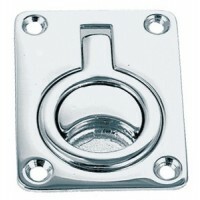 A: 1-7/16"Fastener: #4FHB: 1-3/16"C: 1/2"D: 1/16"E: 1"..
Chrome-plated cast brass. Carded. 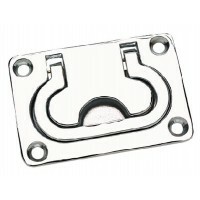 Size: 1-3/4" x 1-1/2"Fastener: #6.. Stamped 304 stainless steel. Carded. A: 3"Fastener: #8 FHB: 2-1/4"C: 5/16"D: 1/32"E: 1-5/16".. Stamped 304 stainless steel. Carded. A: 1-15/16"B: 1-1/4"C: 1/8"D: 3/16".. Stamped 304 stainless steel. Carded. A: 2-1/8"B: 1-15/16"C: 15/16"D: 3/16"..
Spring loaded flush lifting handle. 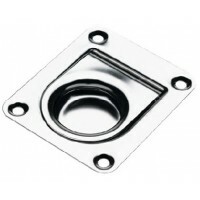 Size: 3" x 2-1/4"Fastener: #8.. 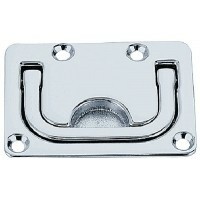 Flush lift hndl-3 x2 1/8 -cpb Fastener: #8Plate: 3" x 2-1/16"Material: Chrome Plated Brass.. 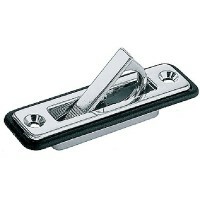 Flush lift hndl-3 x 2 1/4 -cp Fastener: #8Plate: 3" x 2-1/4"Material: Chrome Plated Zinc.. 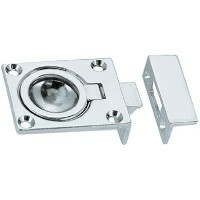 Flush ring pull-1 7/8x2 7/16 Fastener: #8Plate: 1-7/8" x 2-1/2"Material: Chrome Plated Cast Brass..
Flsh ring pul-1 1/2x1 3/4-cp Fastener: #6Plate: 1-1/2" x 1-3/4"Material: Chrome Plated Cast Brass.. 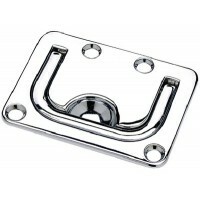 Flush ring pull-1 3/4x1 3/8cp Fastener: #6Plate: 1-3/4" x 1-3/8"Material: Chrome Plated Zinc..
Easy installation. Shank: 2" x 3/16" dia.Plate: 1-1/4" dia. x 1/8"Material: 304 polishedstainless st..
Ring pull-2 1/4x2 5/8-stamp ss Size: 2-3/16" x 2-5/8"Fastener: #8..
3 finger pull black Hole: 1-1/2"Size: 3-1/2" x 2-1/4"..